Time to SING in the new year! 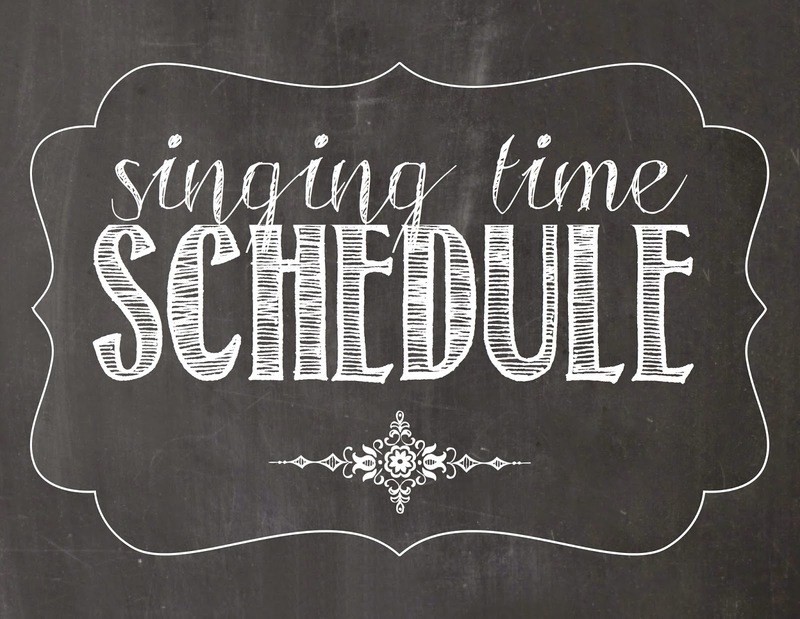 You can find out how I use this schedule HERE. New this year, I'll be adding a monthly, editable copy that you can download to your computer, edit as needed, and print out for you, your pianist and primary presidency. Find that HERE. Or you can always copy and paste the below outline into your own document and create it from there. I prefer planning a month in advance. For me, a year is too much as there will ALWAYS be unforseen variables that I'll have to make too many adjustments for. Activity: Similar to last year's found HERE but with this year's songs. Using this link HERE posted by Amy on Chorister's FB Group (THANK YOU!!). More to come. Activity: Introduce song and teach 1st verse with simple hand actions as directed in the 2015 outline found HERE (scroll down to the bottom). More to come. Activity: Teach 2nd verse with more hand actions and review entire song. More to come. Can you please post the check list for this year? I love the idea thanks! I only do a month at a time...a year's worth is too overwhelming to me. I'll have February's schedule posted the end of January, March's schedule posted the end of February, and so on. Hey Camille! Will you be posting printable words for "Thanks to Our Father"? If not, no worries, I will create my own. Thanks for all you do! It's up there now - let me know if it gives you error messages. Google Docs has been giving me fits lately! I meant the check list for the primary showcase, the survey? Oh, sorry for misunderstanding. I'll get it up by this Thursday or Friday I'm not that far ahead yet :). Thank you! You are wonderful. :) I am looking forward to hearing more about the 2015 Song Showcase.